However, embedding related data in documents may lead to situations where documents grow after creation. With the MMAPv1 storage engine, document growth can impact write performance and lead to data fragmentation. 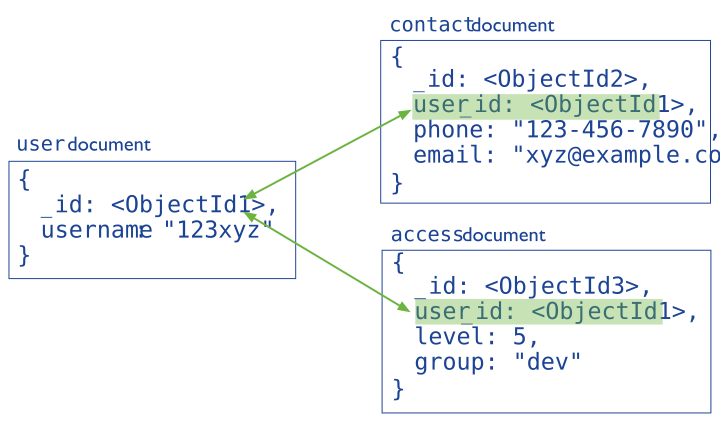 In version 3.0.0, MongoDB uses Power of 2 Sized Allocations as the default allocation strategy for MMAPv1 in order to account for document growth, minimizing the likelihood of data fragmentation. See Power of 2 Sized Allocations for details. Furthermore, documents in MongoDB must be smaller than the maximum BSON document size. For bulk binary data, consider GridFS. 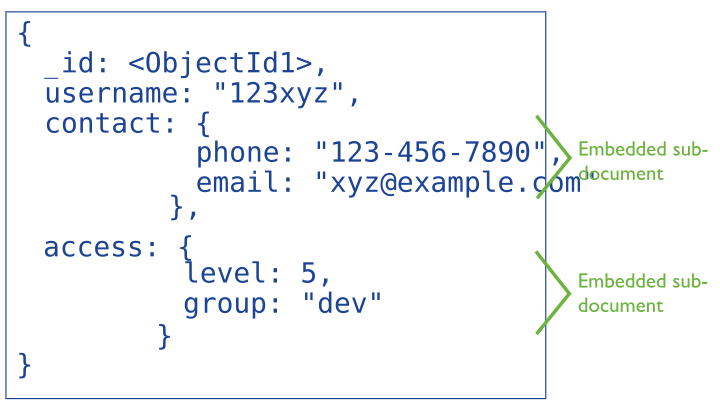 To interact with embedded documents, use dot notation to “reach into” embedded documents. See query for data in arrays and query data in embedded documents for more examples on accessing data in arrays and embedded documents.